Senior pupils are given the opportunity for further study and support in their subjects through the Supported Study Scheme. This scheme runs for an hour immediately after the school day in the period leading up to prelim and final SQA exams. Revision classes are available during the first week of the Easter holidays. 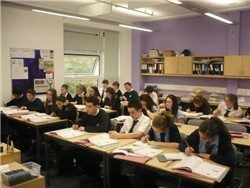 Arrangements for students to attend tutorials immediately prior to SQA exams will be co-ordinated with the SQA timetable. This has proved extremely effective in allowing students to be fully prepared for their subject exams. A homework club is run on Wednesdays, after school. This gives pupils an opportunity to use the school resources and get assistance from subject specialists while completing their homework.